I'm using a mockup doll of my thesis project for this week's Illustration Friday. I'm slowly learning to accept, and even love my imperfections. It's these imperfections that make me a nicer, kinder and more understanding person. I'll never be skinny, I'll never look how society expects me to look, and that's "perfectly" ok with me. 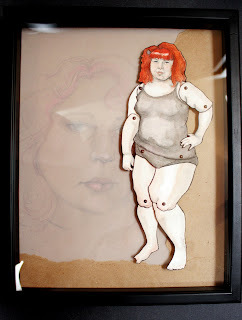 I create paper dolls, they are my new obsession. 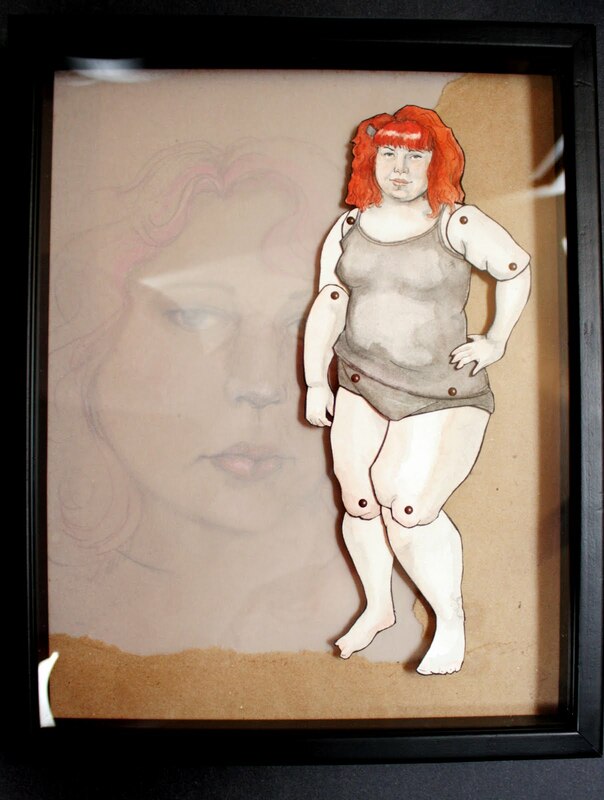 My senior thesis was dedicated to the construction of large female paper dolls of diverse body shapes to represent empowered, beautiful women. This one is a small version of the doll that I created of myself. I then drew a self portrait and attached it behind vellum. I then mounted my paper doll to the portrait.